What’s an easy way to meditate in Denver? So there’s a fair amount of information on my website about meditation, and a lot of people would like to do meditation, but don’t know how to get started. ” How do I go about this?” is what I generally hear in Broomfield, Colorado. So here’s a form of meditation that’s really easy, it’s very simple, and this is great for people who like to have a kinetic anchor, like me. I think better with a pen in my hand. If you’d like to have something in your hand then I’m going to invite you to try Japa Meditation. Japa meditation is meditation with prayer beads or what’s called mala beads in the yogic tradition. These are mala beads; you can often get them at yoga centers or meditation centers. If you’re in the Denver area I’d highly recommend Mayu Sanctuary which is down on South Pearl back behind Denver University. They have a wide selection of mala beads; you can also go to gift shops. A lot of yoga centers have these. Malas are often made of different materials in Broomfield, Colorado. 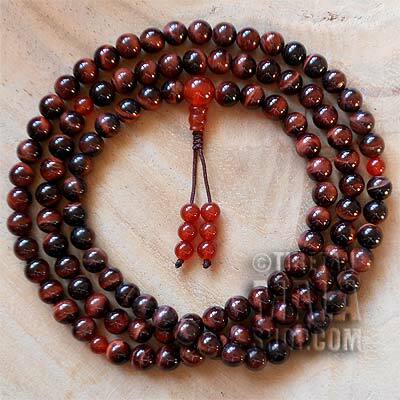 These are a rosewood mala, you can get beads that are plastic, wooden, there are some made of bone, there are some made of different seeds but these are relatively simple. A mala is 108 beads. Now why 108? Because the Sanskrit alphabet has 54 characters in it and each character has a male and female aspect to it so there’s your hundred-and-eight. So to do japa meditation you have to choose a mantra. Now what is a mantra? A mantra is a phrase, a grouping of words that mean something to you in Broomfield, Colorado. Different spiritual traditions have different mantras; in Hinduism a very popular mantra is Om Namah Shivaya, in Buddhism very popular mantra is Om Mani Padme Hum, which means the Jewel in the Lotus. Christianity has mantras – “Lord have Mercy” is a mantra in the Christian tradition; mala beads developed into the rosary. Now there’s a mantra, “Hail Mary Full of Grace,” so on and so forth, that is done while while holding a bead in the rosary; that’s japa meditation. So a quick word on how to properly handle malas: Malas do not touch the floor, they’re considered a sacred object; and don’t let anyone else handle your malas. Only you touch your malas, and do not use your index finger to touch the mala because the index finger is the fire finger, it’ll decharge your mala. So let’s just look at a simple meditation, a simple Om Namah Shivaya repetition. Hold the mala on your middle finger, this is called the guru bead where the tassel is located, so start on the bead next to the Guru bead right here. I like to hold it between the middle finger and the thumb; see how that works? When you hold it like this it’s really easy to ratchet to the next bead, see how that works? So starting with this bead here, hold this bead and silently say your mantra, “Om Namah Shivaya.” I moved to the next bead on the mala, I move to the next bead, “Om Namah Shivaya,” next to the next bead on the mala, next bead so do this until you work your way all the way through the mala, one bead at a time until you reach the Guru bead. Now you’ve just repeated “Om Namah Shivaya,” or your mantra of choice, 108 times. While you’re repeating your mantra, you’re not thinking of anything else, all you’re thinking is “Om Namah Shivaya.” It counts as meditation; it clears the mind, it calms the mind, and that’s the whole point of meditation. So this is a relatively simple form of meditation you can do anywhere with any mala beads. Try that and I’ll be posting information about guided meditations later. Talk to you soon!